Check out all our car seat tips HERE. 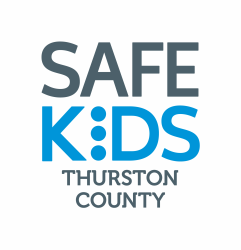 Find out where our MONTHLY CAR SEAT INSPECTION STATIONS are located HERE. Kids who have outgrown their car seats are not quite ready for a seat belt alone – although they might try to convince you otherwise. Instead, have them transition to a booster seat that enables the adult seat belt to fit properly. Read all our booster seat tips HERE. Let’s see, there’s “Click it or Ticket!” “No Belt, No Brains,” and “What’s Holding You Back?” But no matter how you say it, one thing is clear: Buckling up on every ride is the single most important thing a family can do to stay safe in the car. A few tips to make buckling up a part of every car ride are HERE. Want information about Heatstroke Awareness and Prevention, Driveway Safety, and Trunk Entrapment Prevention? Click for info and tips about Heatstroke Awareness and Prevention H﻿ERE. Click for info and tips about Driveway Safety H﻿ERE. And for info and tips about Trunk Entrapment Prevention, click H﻿ERE. Few teens and preteens ever think about the rules of the road or how to drive safely until they’re just about to start driving. For something as important as driving, we want your kids to get a head start. Here are a few ways to provide teens and preteens with the tools and support they need to make responsible choices before they are ready to drive or ride with other young, new drivers. See all our tips HERE. The Countdown2drive Program website is HERE. ﻿School buses are the safest mode of motorized transportation for getting children to and from school, but injuries can occur if kids are not careful and aware when getting on and off the bus. Taking the bus for the first time is a big step for your child. Help your kids get a gold star in bus safety by following these tips HERE. Tips to get your kids where they are going on foot safely are HERE.